Over the course of the Business and Marketing degree, learners will encounter practiced-based business and marketing topics. Our practioner-based course will expose you to real world marketing problems and will equip you to work in a variety of digital and traditional marketing roles. Additionally, the Business element is about enabling you to acquire the skills and experience necessary to flourish in a challenging business environment. I have had an amazing two years in the University of Chichester. Being an international student can have its challenges. But all the tutors, student support team and administration are all very helpful and are always there to attend to every need I have. I also love the small lecture size because I get more individual help from each tutor. I have gained so much from being here and couldn’t ask for anything better. My degree definitely enhanced my employability and I found it relatively easy to find a marketing position after leaving the University of Chichester. The prosperity of business relies on the innovation and creativity of its employees. This programme will give you the skills and experience necessary to flourish in a challenging business environment. Over the course of your degree studies, you’ll encounter a range of practice-based topics across a full range of business and management disciplines. This will be combined with the study of challenging and vocational marketing modules which will underpin the development of your marketing expertise and professionalism. Our methods are different to many other universities as the majority of learning takes place in group workshops, in an interactive, participative environment. Modules are designed to be active and experiential so that the skills and knowledge you develop can be implemented in realistic settings. 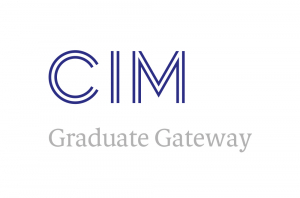 Our graduates are employed in a variety of marketing-related roles, such as product management, digital marketing, marketing communications, sales, market research, customer service, social marketing, direct marketing and public relations.